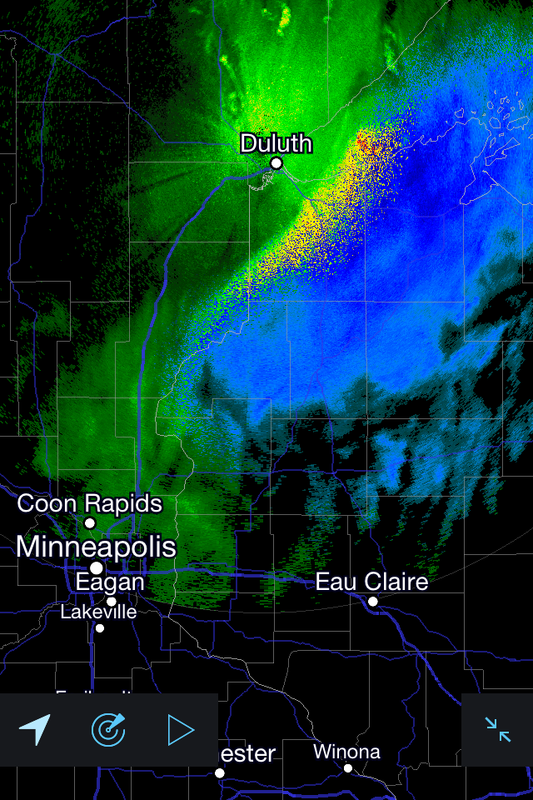 Light to moderate snow has been reported in Northwestern Wisconsin during the overnight hours! The snow is expected to drop south overnight and eventually pivot around a strong area of low pressure to the east during the early morning hours on Saturday, any accumulation will be light. May we remind you its October...5 days ago many of these locations will in the 80s! 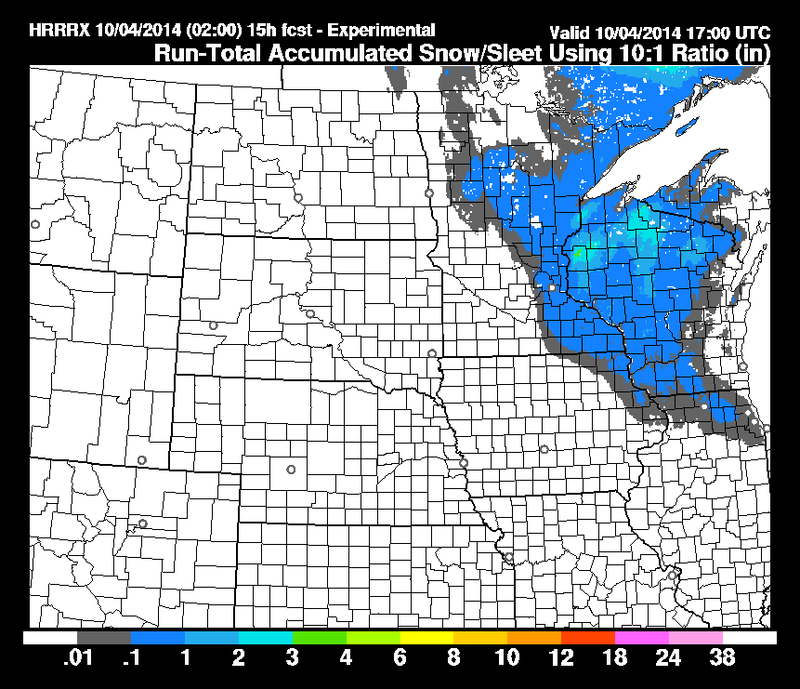 The first map below is of the HRRR (experimental run) of total snowfall over the next 14 hours! It has a pretty good handle on how this system is evolving. Finally, the last map is of 850mb temperatures for 6z Saturday. It is showing the expansive cold encompassing much of the Midwest. Record low maximums are in jeopardy Saturday! The well below normal temperatures appear to hold strong right on through the next week and beyond.